Amid increasing competition from smaller brands and individual coffee centers, Starbucks Corporation (NASDAQ:SBUX) is planning some new store formats to attract customers. The company is planning two designs aiming different segments including a reserve coffee theme and an express store look for Manhattan centers. The company is planning its first Reserve ™ Roastery and Tasting Room in Seattle this winter. These premium establishments would serve as the focal point of coffee education, roasting, and the prime source for their premium Starbucks Reserve® Coffees. The company will experiment its first “express” store in Manhattan. The company is planning to open up to 100 new premium stores in the next five years. Experts are considering it an excellent and necessary step for maintain the major market share in the coffee industry. 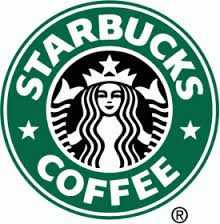 As mentioned in Chicago Tribune, Starbucks Corporation (NASDAQ:SBUX) had a 77.6% share in the U.S. specialty coffee segment with strong financial performance in the past quarters. However, Starbucks Corporation (NASDAQ:SBUX) is facing some stiff competition from smaller brands including Peet’s Coffee & Tea, Inc. (NASDAQ:PEET), Tim Hortons Inc. (USA) (NYSE:THI), and individual coffee shops. Peet’s Coffee & Tea, Inc. (NASDAQ:PEET) is planning to open 15 new stores in Chicago and that too near Starbucks’s establishments. Starbucks is facing a similar situation in New York with several individual coffee stores coming right next to their establishments. Somehow, the increasing competition is not a threat to the world’s leading coffee store as it plans to open 1,600 new stores in 2015 worldwide.